An influx of highly paid workers into Ireland in the wake of Brexit will turn the housing crisis here into a catastrophe. 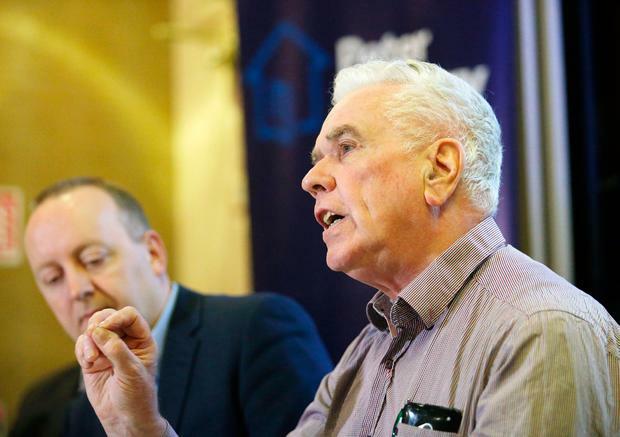 Homeless campaigner Fr Peter McVerry warned Irish people would be even more frustrated with the rental market when foreign workers on higher wages relocate to Dublin from London. The Peter McVerry Trust outlined its housing recommendations for Budget 2018 yesterday, with a demand for multiple social housing units at its core. Fr McVerry said Ireland would have thousands of high-paid employees coming into the country after Brexit. "They will be looking for accommodation in the private rented sector. "Therefore, low-income people are simply going to be priced out of even sub-standard accommodation," he said. Many EU citizens, who would normally have gone to England, would decide to come to Ireland as they might feel unwelcome in the UK. "So we could have potentially, over the next three or four years, a catastrophe in housing unless something additional is done to what we are doing at the moment," he said. He added that there was nothing in Rebuilding Ireland, the Government's housing programme, to prevent people from becoming homeless. "We need to prevent more and more people entering homelessness, otherwise we're trying to empty the bath water with the tap still full on."